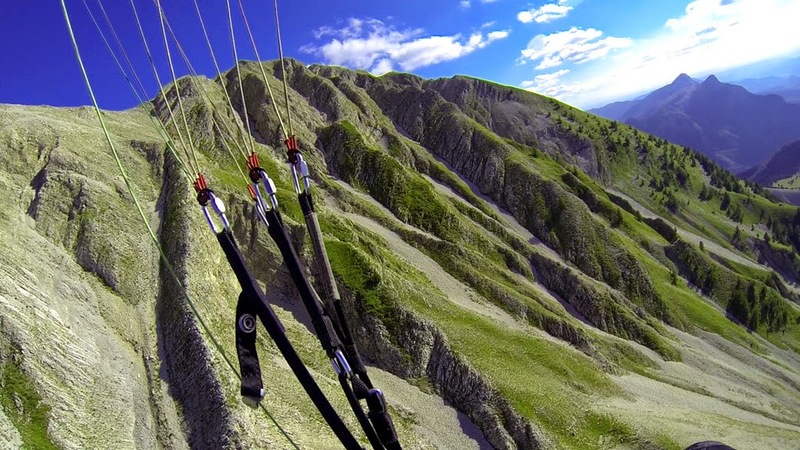 In the following series, we'd like to touch upon our recent paragliding trip to the French Alps. 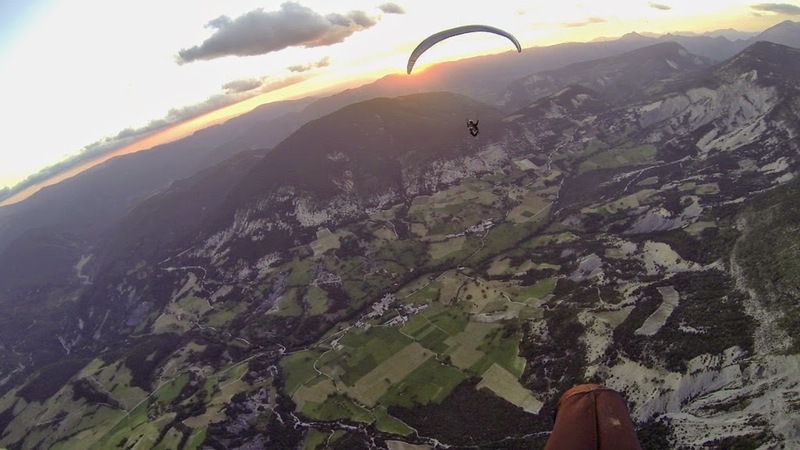 In two weeks, between August 11 and 23, in spite of less-than-ideal weather, we managed to cover a significant amount of ground and airspace: 4000km by car, and about 600km by paraglider. 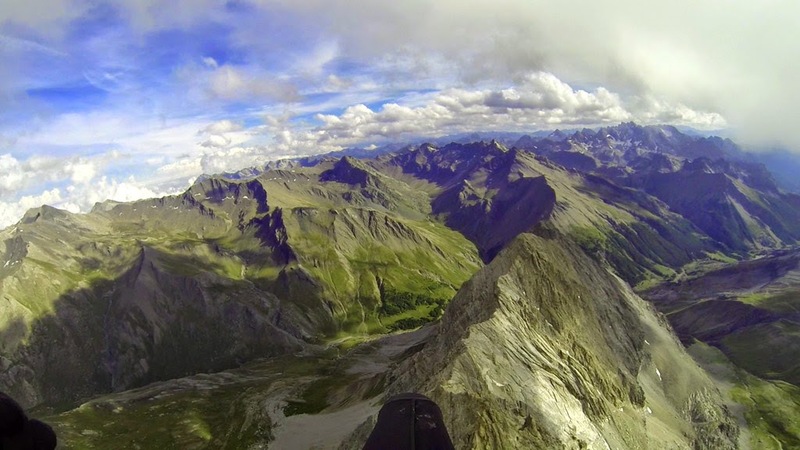 Though we have visited France and climbed in the Alps a number of times before, and have over 2000 hours in the air (in Japan and Australia) between the two of us, we were astonished by the new, striking, never-seen-before landscapes. We would like to share some of these with you. Map of Europe, frame showing where we were. 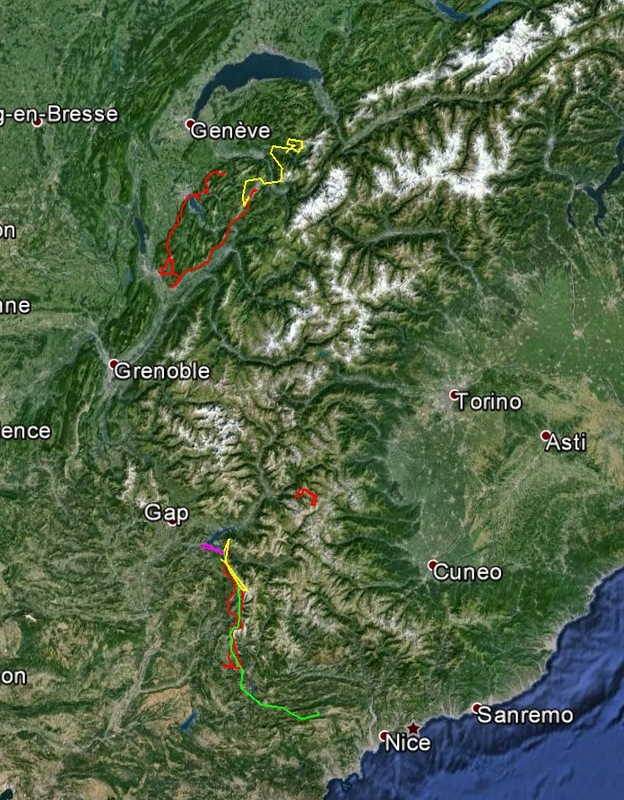 Flights are marked with colored lines. 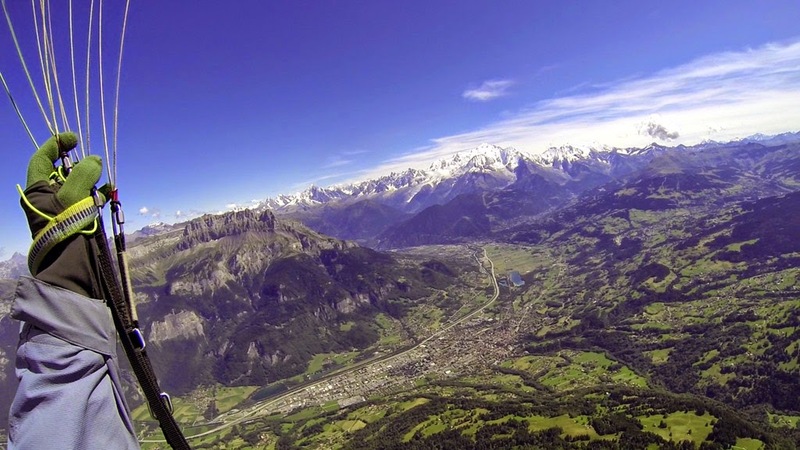 The French Alps spread roughly in a north-south direction in the southwest of France between Lake Geneva and the Mediterranean Sea, and include the range's highest peak, Mt. Blanc, at 4808m, along with numerous other 3000 and 4000m peaks. 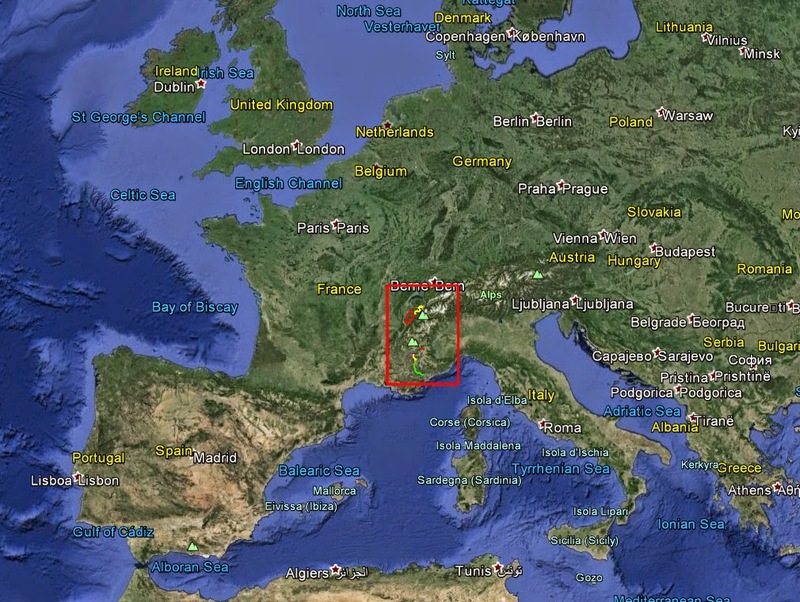 The mountains grow in size from west to east, culminating at the French-Italian border which runs along the highest ridges. They experience a range of climatic conditions; particularly the southern ranges tend to be dry and windy in summertime due to the influence of the Mediterranean; during our visit the northern parts were often windless but cloudy. Occasionally the western ramparts would stop the clouds, offering unexpectedly good conditions deeper among the higher peaks. We studied meteorological data and forecasts meticulously in the evenings, often moving base taking advantage of whatever weather phenomenon we could. It worked out fairly well overall. Mt. Myon, near Bourg-en-Brasse, not really in the Alps but in the western foothills of the Jura mountains, on the way in from Paris (it was raining in the Alps at the time). 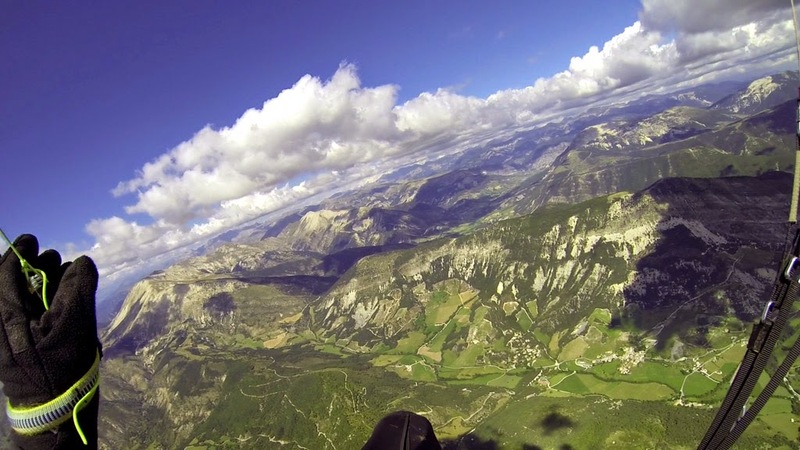 Annecy, the mecca of French, if not European, paragliding...but we only enjoyed one day of good conditions there. 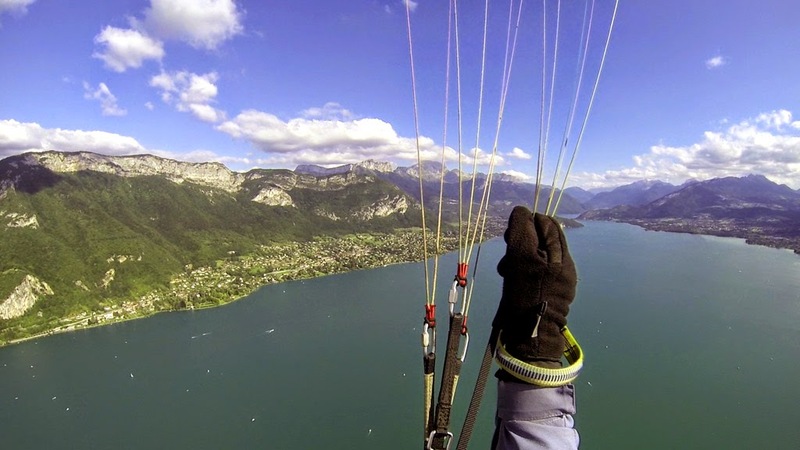 Feet on speed bar, hands on C's, crossing over Lake Annecy. St. Vincent, an excellent place right on the geographic divide between the north and south, with excellent XC potential. 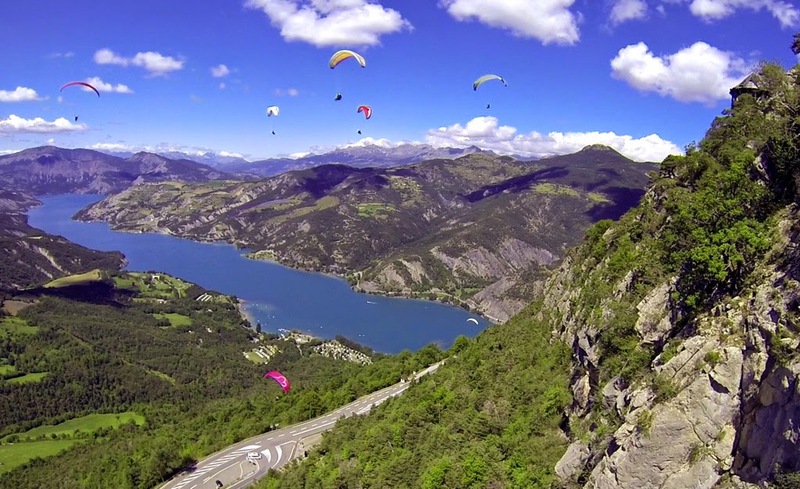 Scenic Lake Serre-Poncon in the background, St. Vincent. Thermalling with Leanne over the 2505m Dormillouse, near St. Vincent. Tete d'Estrop, at 2961m a worthy goal, 40km out-and-return from St. Vincent. Tete de la Vieille, sunset cruising near St. Vincent. 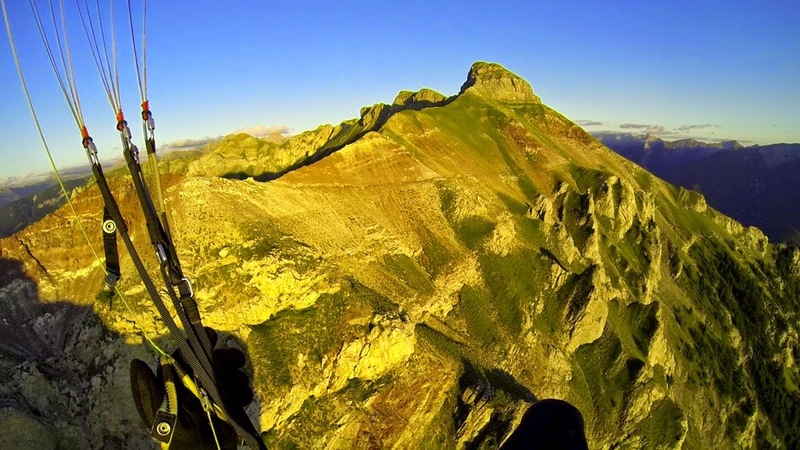 Summit flyby, Morgon Peak (2324m). St. Andre, possibly the best site in the south Alps. 8:30 P.M. Leanne enjoys the sunset at St. Andre. 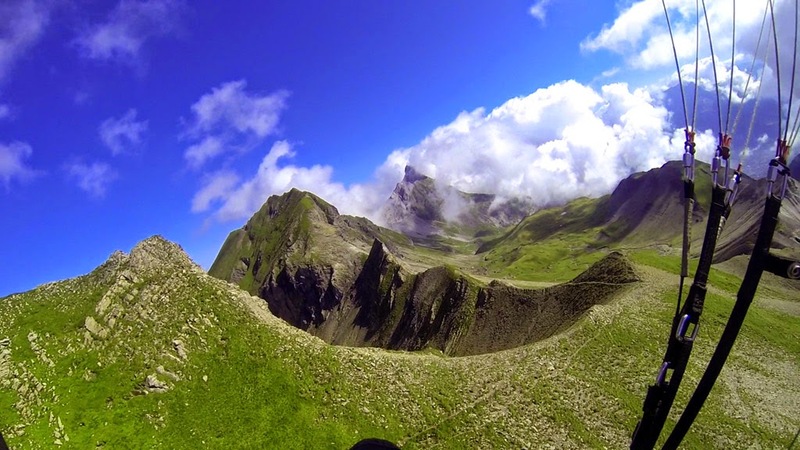 Cheval Blanc (2323m), 17km from St. Andre, along the 50km XC route to St. Vincent. Ceillac, a beautiful place deep in the mountains near the Italian border. Ceillac village, nestled in a deep valley among 3000-m snowy peaks. 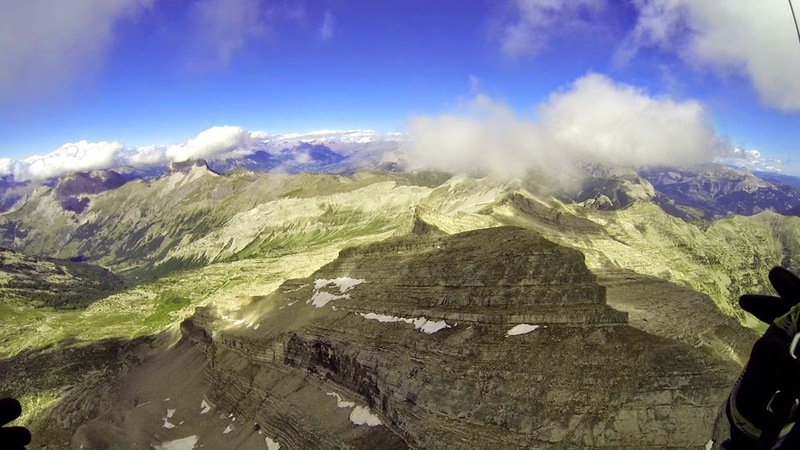 Queyras mountains, wilderness beyond Ceillac. 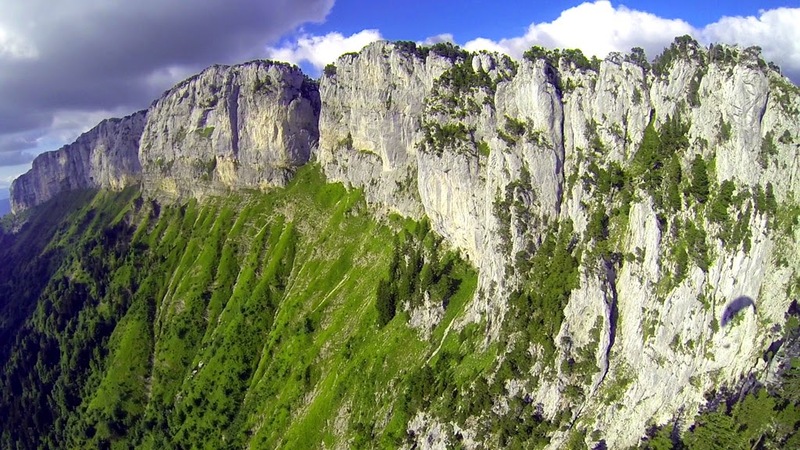 Courtet, kind of in the middle of nowhere between the Vercors and Ecrins ranges. 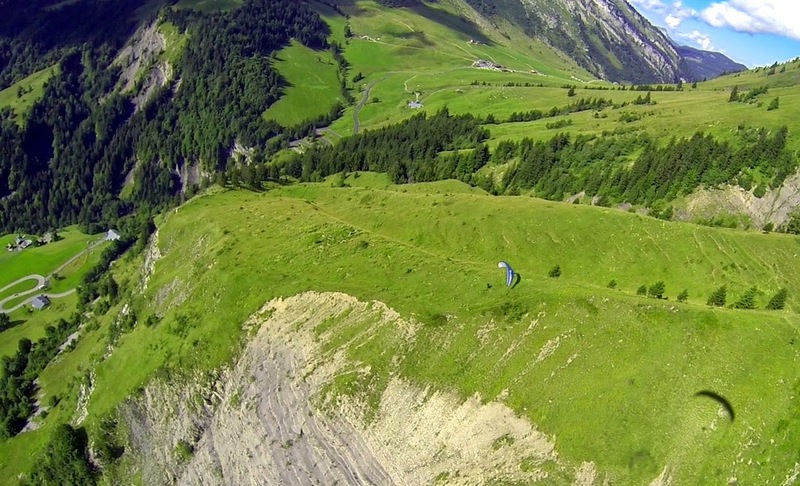 Aravis, a walk-up takeoff we discovered that made flying in the morning (and hence all day) possible. 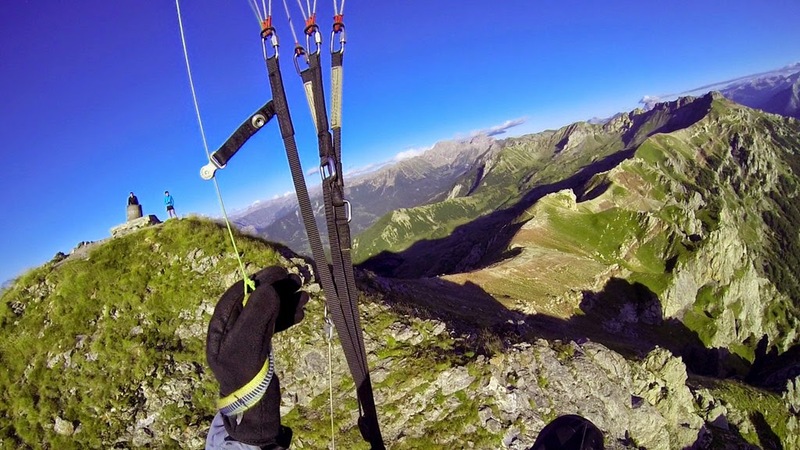 Taking off in the wild but strategic Col des Aravis. Threading the striking Aravis chain. 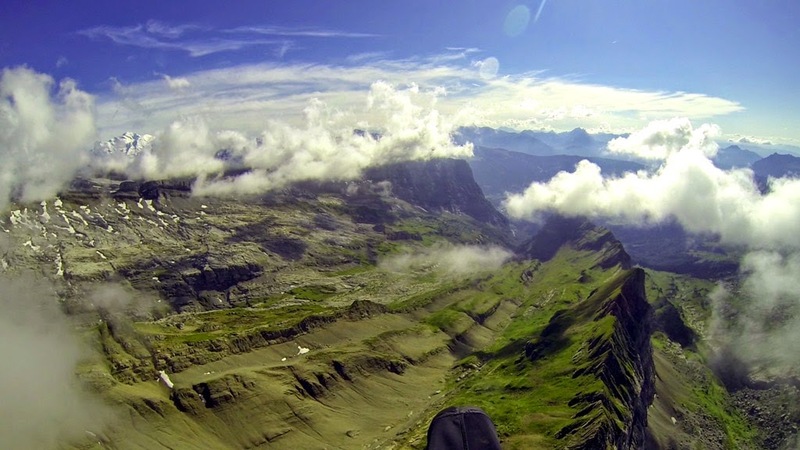 Crossing from Aravis over the wide Arve valley, with 4808-m Mt. Blanc in the backdrop. 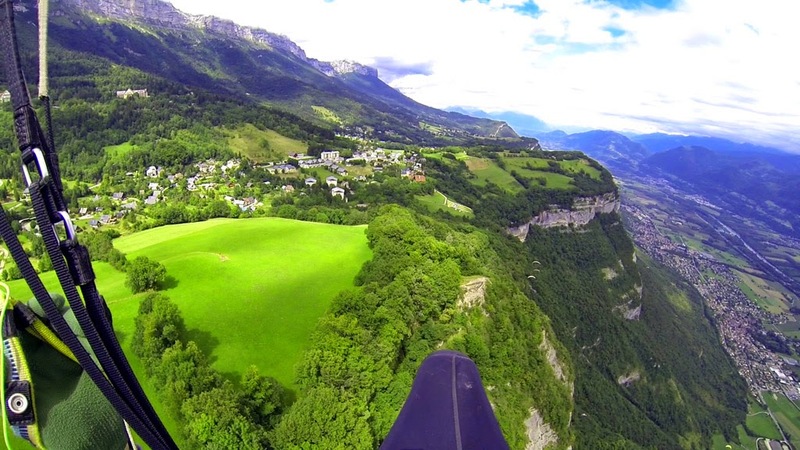 St. Hilaire, near Grenoble, a very civilized, carpeted, and with its own funicular access, along with Annecy probably the busiest takeoff in France. 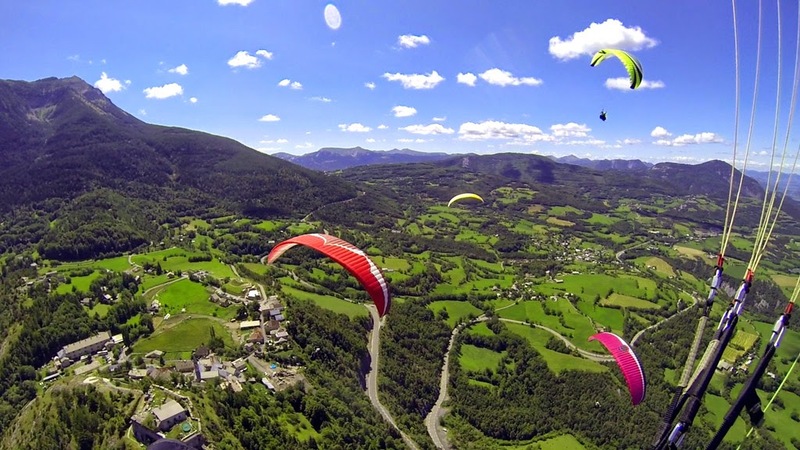 St. Hillaire, beautiful and ideal topography for paragliding. 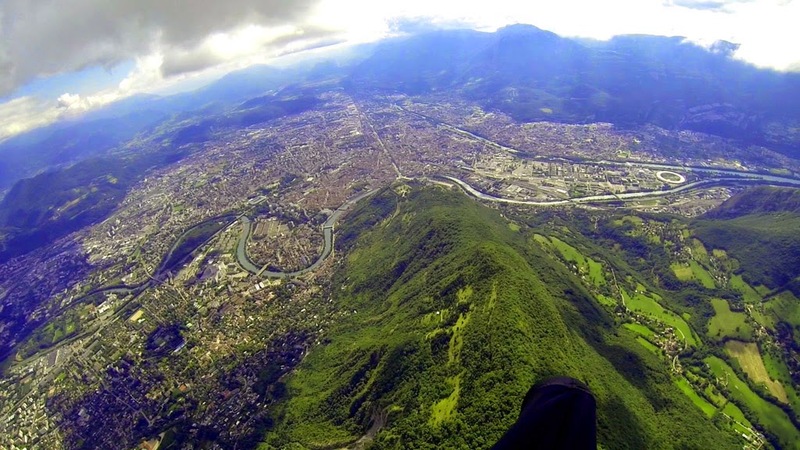 City of Grenoble, the largest in the French Alps, 30km out and return from St. Hillaire. 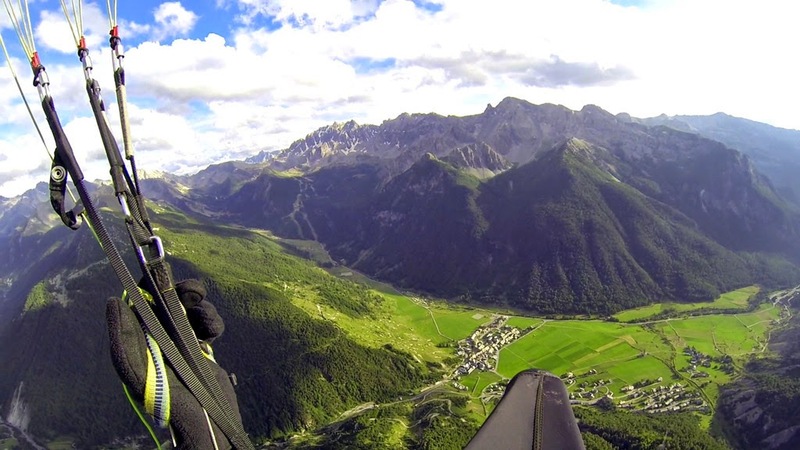 We also managed to fly XC over numerous other more or less famous places such as Mt. Lambert, Samoens, etc. Alpine playground on the Swiss border at Samoens. 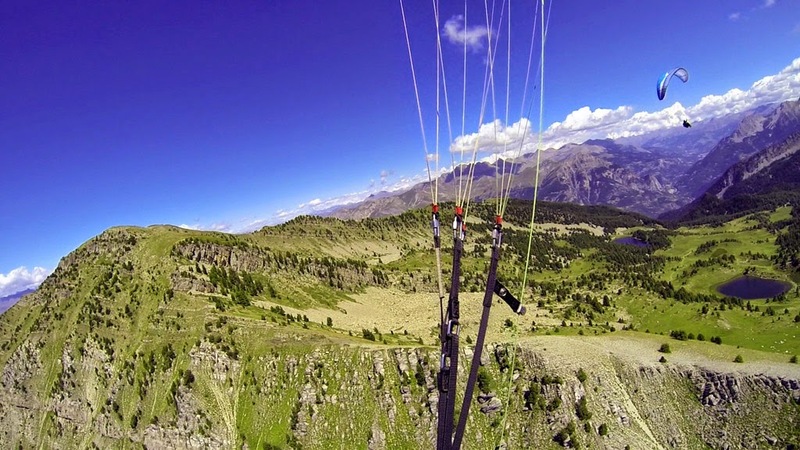 By the way, paragliding and hang-gliding are collectively called "Vol Libre" or "Free Flight" in French, and enthusiasts of this sport are therefore, "Liberistes". I rather like the sound of that! Not to mention, use of the luxurious takeoffs is completely free (paid for by local administration), and sometimes so are even the shuttles to take you there from the base of the mountain. How much better could it get? Coming soon! In the next few entries, I'll talk about some of my cross-country flights in a little more detail.